The Indian Evidence Act, 1872 - Section 27 - Recovery - It is not the discovery of every fact that is admissible but the discovery of relevant fact is alone admissible. Relevancy is nothing but the connection or the link between the facts discovered with the crime. The Indian Evidence Act, 1872 - Section 27 - Recovery - Money - When the money allegedly recovered is being sought to be relied upon as stolen from the house of the deceased, the same is unreliable when there is nothing on record to support the claim of theft or robbery from the scene of crime. The Indian Evidence Act, 1872 - Section 27 - Recovery - Small broken button found at the scene of crime - there is nothing on record to show that the shirt is unique and cannot be matched with the shirt of any other person. PW-13 has admitted in his testimony that shirts of the same kind are easily available in the market. In such circumstances, it cannot be conclusively proved that the shirts are in any way unique to the 'appellants' shirt to the exclusion of everyone else. Therefore, the reliance placed with analysis of the shirt in the absence of any unique make thereof is improper. Criminal Law - One of the fundamental principles of criminal jurisprudence is undeniably that the burden of proof squarely rests on the prosecution and that the general burden never shifts. There can be no conviction on the basis of surmises and conjectures or suspicion howsoever grave it may be. Strong suspicion, strong coincidences and grave doubt cannot take the place of legal proof. The onus of the prosecution cannot be discharged by referring to very strong suspicion and existence of highly suspicious factors to inculpate the accused nor falsity of defence could take the place of proof which the prosecution has to establish in order to succeed, though a false plea by the defence at best, be considered as an additional circumstance, if other circumstances unfailingly point to the guilt. Child Witness - Evidence of a child witness must be evaluated carefully as the child may be swayed by what others tell him and he is an easy prey to tutoring. Therefore, the evidence of a child witness must find adequate corroboration before it can be relied upon. It is more a rule of practical wisdom than law. (A.K. SIKRI) (S. ABDUL NAZEER) (M.R. SHAH) JJJ. 2. These appeals have been preferred by Digamber Vaishnav and Girdhari Vaishnav challenging the judgment and order dated 30.04.2015 passed by the High Court of Chhattisgarh at Bilaspur, in Criminal Reference No.3 of 2014, affirming the death sentence imposed by the Sessions Judge, Baloda Bazar and dismissing the criminal appeal Nos. 536 of 2014 and 537 of 2014 filed by them challenging the aforesaid judgment and order of the Sessions Judge. 3. The prosecution story in brief is that the complainant, Badridas Vaishnav lives in village Khapridih. He is a retired teacher. Bhuneshwar was his brother. Both were living in separate mohallas. Bhuneshwar Das had two wives, namely, Shri Bai and Subhadra Bai. From Shri Bai, Bhuneshwar had seven daughters. From Subhadra Bai, he had five daughters and a son. Bhuneshwar Das had expired two years back. Mala, Kondi, Chandni, Nandini, Sharda and son Govinda were residing in the house apart from Shri Bai and Subhadra. 4. On 17.12.2012, at about 4 p.m., Chandni came to the house of PW-1, Badridas and informed him that Shri Bai, Subhadra, Kondi, Amrika and Mala Bai are lying dead in the courtyard and in a room. The complainant along with his wife Shanti Bai and Chandni immediately rushed to the house of Bhuneshwar and saw that Amrika and Mala Bai were lying dead at parchhi and Shri Bai, Subhadra and Kondi were lying dead in the room. There was bleeding from the nose and mouth of deceased and there were marks of injuries on the neck. 5. The complainant lodged the report of the occurrence in Police Outpost Gidhouri, where report (Exhibit P-6) was registered as per the statement of the complainant which was registered as FIR in Crime No.430/12 in the Police Station Bilaigarh. Marg intimations of Subhadra Bai, Shri Bai, Kondi, Mala Bai and Amrika Bai wereregistered as per the information given by Badridas. Witnesses were summoned for the examination of the dead body of the deceased. Panchanama of the deceased was prepared in the presence of the witnesses. The doctor submitted post-mortem reports after conducting post-mortem of all the deceased. The cause of death of all the deceased was asphyxia due to strangulation and the deaths were homicidal in nature. After post-mortem report, the dead bodies of all the deceased persons were handed over to their relative Badridas for cremation. 6. The investigating officer drew the map of the place of occurrence in the presence of the witnesses. The police seized a bottle of Golden Goa Whiskey (made of glass) and a plastic torch which were lying at the place of occurrence. Six strands of black hair stuck between the fingers of right hand of the deceased Kondi, two white coloured buttons lying between dead bodies, blood stained soil, plain soil and one woolen shawl were also seized from the place of occurrence. The police also seized a shirt worn by the appellant No.1. Memorandum statement of the accused Digamber was recorded as per his dictation wherein he stated that he has kept the motorcycle at the house of Girdhari and Rs.3000/- and anklet (pair patti) was kept in his house. A sum of Rs.3000/- and anklet were seized after taking it out from the pocket of trousers of Digamber. Memorandum statement of accusedGirdhari was recorded wherein he stated that he has concealed Rs.2600/- and pair patti in carry bag at his house. Cash and a pair patti kept in a plastic carry bag were produced by the accused Girdhari from inside his house which were seized. Shirt worn by accused Digamber was removed and seized and one white coloured shirt with two missing buttons was seized from the accused Girdhari. Consent panchanama was prepared for taking the hair (of head) of accused Digamber and Girdhari and the hair (of head) of accused were seized. Seized articles were sent to the Forensic Science Laboratory. 7. An application was made to finger print expert for examination of finger prints on the wine bottle seized from the place of occurrence. Report of Police Headquarter (Finger Prints) was received, according to which finger prints of accused Digamber were found on the bottle of Golden Goa Whiskey. FSL Report regarding button of the shirt of the appellants and the buttons seized from the place of occurrence was also received wherein two buttons and threads were stated to be similar. 8. The police recorded the statement of PW-1, Badridas, Sheetal Das, Smt. Shanti Bai, Kumari Chandni, PW-8, Anita Bai and Dan Bai, Sohandas, PW-9 under Section 161 of Cr.P.C. After completion of investigation, chargesheet was filed in the court of Judicial Magistrate, who committed the case to the Sessions Court. 9. In order to prove their case, the prosecution examined 14 witnesses. The appellants were also examined under Section 313 of the Cr.P.C. wherein they pleaded that they are innocent and have been falsely implicated in the offence. 10. The Sessions Court by its judgment dated 14.05.2014 came to the conclusion that prosecution has successfully proved beyond doubt that the appellants have committed robbery in the house of the deceased persons and committed murder of all the five ladies. Each of the appellants was sentenced with R.I. for ten years and fine of Rs.500/-, in default of payment of fine, they will further undergo one month's R.I. for the offence under Section 394 read with Section 34 of IPC. They were also sentenced with capital punishment for the offence under Section 302 read with Section 34 IPC and ordered that they will be hanged till death. 11. The Death Reference under Section 366(1) of the Cr.P.C. was sent to the High Court for confirmation. The appellants preferred separate appeals before the High Court. As noticed above, the High Court by its judgment dated 30.04.2015 affirmed the judgment of the Sessions Court. 12. Appearing for the appellants Sh. S. Nagamuthu, learned senior counsel has mainly contended that there was an unexplained delay in reporting the offence. Secondly, the courts below have mainly reliedon the testimony of PW-8. PW-8 is a child witness who was present in the house at the time of the incident. She is not a witness to the actual incident. Her testimony has not been corroborated. Therefore, it is risky to rely on uncorroborated identification of the appellants at her instance. It is further argued that the evidence of recoveries made under Section 27 of the Indian Evidence Act is also unreliable. The recovery of motorcycle is also unreliable and that the articles recovered are not connected to the crime. The testimony of PW-9 is hearsay and cannot be relied upon by the prosecution. Even the finger print report cannot be relied on. Finally, he submits that the evidence of last seen is insufficient to establish the guilt. 13. On the other hand, Sh. Atul Jha, learned counsel appearing for the respondent, has supported the judgment of the courts below. He prays for dismissal of the appeals. 15. One of the fundamental principles of criminal jurisprudence is undeniably that the burden of proof squarely rests on the prosecution and that the general burden never shifts. There can be no conviction on the basis of surmises and conjectures or suspicion howsoever grave it may be. Strong suspicion, strong coincidences and grave doubt cannot take the place of legal proof. The onus of the prosecutioncannot be discharged by referring to very strong suspicion and existence of highly suspicious factors to inculpate the accused nor falsity of defence could take the place of proof which the prosecution has to establish in order to succeed, though a false plea by the defence at best, be considered as an additional circumstance, if other circumstances unfailingly point to the guilt. 16. This Court in Jaharlal Das v. State of Orissa, (1991) 3 SCC 27, has held that even if the offence is a shocking one, the gravity of offence cannot by itself overweigh as far as legal proof is concerned. In cases depending highly upon the circumstantial evidence, there is always a danger that the conjecture or suspicion may take the place of legal proof. The court has to be watchful and ensure that the conjecture and suspicion do not take the place of legal proof. The court must satisfy itself that various circumstances in the chain of evidence should be established clearly and that the completed chain must be such as to rule out a reasonable likelihood of the innocence of the accused. In order to sustain the conviction on the basis of circumstantial evidence, the following three conditions must be satisfied: i.) the circumstances from which an inference of guilt is sought to be drawn, must be cogently and firmly established; ii.) those circumstances should be of a definite tendency unerringly pointing towards the guilt of the accused; andiii.) the circumstances, taken cumulatively, should form a chain so complete that there is no escape from the conclusion that within all human probability the crime was committed by the accused and none else, and it should also be incapable of explanation on any other hypothesis than that of the guilt of the accused. 17. In Varkey Joseph v. State of Kerala, 1993 Suppl (3) SCC 745, this Court has held that suspicion is not the substitute for proof. There is a long distance between 'may be true' and 'must be true' and the prosecution has to travel all the way to prove its case beyond reasonable doubt. "13. Suspicion, however grave it may be, cannot take the place of proof, and there is a large difference between something that “may be” proved, and something that “will be proved”. In a criminal trial, suspicion no matter how strong, cannot and must not be permitted to take place of proof. This is for the reason that the mental distance between “may be” and “must be” is quite large, and divides vague conjectures from sure conclusions. In a criminal case, the court has a duty to ensure that mere conjectures or suspicion do not take the place of legal proof. The large distance between “may be” true and “must be” true, must be covered by way of clear, cogent and unimpeachable evidence produced by the prosecution, before an accused is condemned as a convict, and the basic and golden rule must be applied. In such cases, while keeping in mind the distance between “may be” true and “must be” true, the court must maintain the vitaldistance between mere conjectures and sure conclusions to be arrived at, on the touchstone of dispassionate judicial scrutiny, based upon a complete and comprehensive appreciation of all features of the case, as well as the quality and credibility of the evidence brought on record. The court must ensure, that miscarriage of justice is avoided, and if the facts and circumstances of a case so demand, then the benefit of doubt must be given to the accused, keeping in mind that a reasonable doubt is not an imaginary, trivial or a merely probable doubt, but a fair doubt that is based upon reason and common sense". 19. It is also well-settled principle that in criminal cases, if two views are possible on evidence adduced in the case, one binding to the guilt of the accused and the other is to his innocence, the view which is favourable to the accused, should be adopted. This principle has a special relevance in cases wherein the guilt of the accused is sought to be established by circumstantial evidence [See Kali Ram v. State of Himachal Pradesh, (1973) 2 SCC 808]. 20. Bearing these principles in mind, we shall now consider the contentions of the learned counsel for the parties. 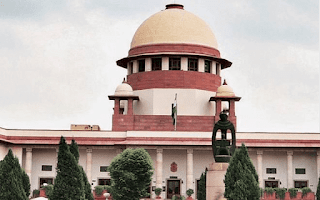 In order to establish that the accused have committed the offence, the prosecution has relied on (i) Testimony of child witness Kumari Chandni (PW8); (ii) The recoveries made under Section 27 of the Evidence Act; (iii) The fingerprint report; (iv) FSL report; (v) Motive of committing robbery; and (vi) Evidence of last seen together. 21. The case of the prosecution is mainly dependent on the testimony of Chandni, the child witness, who was examined as PW-8. Section 118 of the Evidence Act governs competence of the persons to testify which also includes a child witness. Evidence of the child witness and its credibility could depend upon the facts and circumstances of each case. There is no rule of practice that in every case the evidence of a child witness has to be corroborated by other evidence before a conviction can be allowed to stand but as a prudence, the court always finds it desirable to seek corroboration to such evidence from other reliable evidence placed on record. Only precaution which the court has to bear in mind while assessing the evidence of a child witness is that witness must be a reliable one. 22. This Court has consistently held that evidence of a child witness must be evaluated carefully as the child may be swayed by what others tell him and he is an easy prey to tutoring. Therefore, the evidence of a child witness must find adequate corroboration before it can be relied upon. It is more a rule of practical wisdom than law. [See Panchhi and others v. State of U.P, (1998) 7 SCC 177, State of U.P. v. Ashok Dixit and another, (2000) 3 SCC 70, and State of Rajasthan v. Om Prakash, (2002) 5 SCC 745]. "36. It is a settled principle of law that a child witness can be a competent witness provided statement of such witness is reliable, truthful and is corroborated by other prosecution evidence. The court in such circumstances can safely rely upon the statement of a child witness and it can form the basis for conviction as well. Further, the evidence of a child witness and credibility thereof would depend upon the circumstances of each case. The only precaution which the court should bear in mind while assessing the evidence of a child witness is that the witness must be a reliable one and his/her demeanour must be like any other competent witness and that there exists no likelihood of being tutored. There is no rule or practice that in every case the evidence of such a witness be corroborated by other evidence before a conviction can be allowed to stand but as a rule of prudence the court always finds it desirable to seek corroboration to such evidence from other reliable evidence placed on record. Further, it is not the law that if a witness is a child, his evidence shall be rejected, even if it is found reliable." 24. It is clear from the testimony of PW-8 that she is not an eyewitness to the incident. She was aged about 9 years at the time of the incident. Her evidence is fraught with inconsistencies. None of the other witnesses have identified the appellants. Therefore, heavy reliance was placed on the testimony of PW-8. She did not tell PW-1, Badridas about the appellants while disclosing about the incident forthe first time. This is reflected from the FIR which has been registered against unknown persons. In such circumstances, it is risky to rely on the uncorroborated identification of the appellants at the instance of PW-8, who has not disclosed about the appellants at the first instance before PW-1 Badridas. 25. Shanti Bai, PW-3, wife of PW-1 has stated that PW-8 informed her that her mother had gone to work. This is in direct contradiction with the fact that as per the prosecution story, she was lying dead. Chandni herself states that in the morning, she saw her grandmother dead. Further, FIR records Badridas as saying that Chandni told him that Subhadra Bai is lying dead in her room. 26. The testimony of PW-8 also contradicts with that of PW-10. PW-10 states that herself and Anita had gone to the house of the deceased at 3 A.M. and had seen the bodies of the deceased and also the children. However, PW-8 states that she got up at 7.00 A.M. and that wife of Tekram (Anita) opened the door. 27. The testimony of PW-8 also contradicts that of PW-1, Badridas. According to PW-1, he was informed about the incident only at about 2 to 2.30 P.M. by Chandni. However, PW-8 states that "It is correct to suggest that in the morning, I had told Badridas that who had killed them. I did not know them." 28. At this stage, it is relevant to notice that there was an unexplained delay in reporting the crime, as rightly pointed out by the learned senior counsel for the appellants. PW-8 in her deposition has stated that when she woke up in the morning, her room was locked from outside. When she shouted from inside, wife of Tekram (Anita) opened the door. This version is further corroborated by PW-10, Dan Bai, who has stated that in the morning at about 3 a.m. on Monday that Anita had opened the door of their house from outside. The children were inside the room. Amrika Bai, Kondi, Subhadra Bai and Shri Bai were lying dead. Though, Anita had opened the door at about 3 a.m., it is unexplained why PW-8 did not inform anyone till 4 pm and the same was also unreported by PW-10, even though the police station was at a distance of some six kilometers. This also raises question about veracity of the statement of PW-8, Chandni. 29. The second circumstance relied upon by the prosecution is the evidence of recovery. Under Section 27 of the Indian Evidence Act, it is not the discovery of every fact that is admissible but the discovery of relevant fact is alone admissible. Relevancy is nothing but the connection or the link between the facts discovered with the crime. The recovery of the motorcycle is sought to be relied upon as a circumstance against the appellants. There is nothing on record to show that the motorcycle recovered at the instance of appellant No.1,belongs to him. PW-13, IO, in his cross-examination admits that he does not know whether the appellant No.1 is the owner of the motorcycle. He further admits that no attempts were made by him to enquire about the owner of the vehicle. 30. Testimony of PWs 4 and 5 is also unreliable since it contradicts that of PW-10. As per PW-10, herself and Anita had seen the bodies of the deceased at 3 a.m. She did not see the assailants and does not mention anything about the motorcycle. Hence, there is no occasion for the assailants of the deceased to remain in the house and hence the motorcycle would not be outside the house of the deceased at 4 p.m. PWs 4 and 5 contradict each other. While PW-4 states that the motorcycle was of Bajaj Company, PW-5 mentions it as a motorcycle from Hero Honda Company. PW-5 in his examination-in-chief says that he had moved the motorcycle to allow the tractor to pass. However, in his cross-examination, he says that he did not move the motorcycle and it was PW-4, who moved it. PW-5 does not even state the day or month when he saw the motorcycle. 31. PW-2 was the witness to the seizure of the motorcycle. According to him, the motorcycle was red in colour. However, as per the seizure memo, the recovered motorcycle was black in colour. This makes the recovery of the motorcycle unreliable. It is relevant to state that thepolice recorded the statement of PWs 4 and 5 after delay of over two months. 32. Coming to the recovered articles, the silver-patti recovered at the instance of the appellants, is alleged to have been that of the deceased-Shri Bai. However, no witness identifies the silver-patti as belonging to any of the deceased. PW-2 states that "the type of anklet that was seized" is easily available in the market. Hence, in the absence of any identification of the seized anklet, no reliance can be placed on its recovery. The evidence of Rajesh Vaishnav, PW-2, who is the witness to the seizure memo, is contrary to the memos brought on record. The witness deposes that the statements of the accused were recorded thrice, i.e. in Gidhauri Chowk, Khapridih and Barbhatha. Moreover, he states that the seizures from appellant No.2 took place in Kharri village and the memorandum of procedure took place in the station. This is in direct contradiction with the seizure memo, which states that seizures have taken place in Barbhatha. 33. The cash has not been traced back to the deceased as the box from which articles were allegedly stolen has not been recovered or seen by any witness. Even in the FIR, there is no averment of any article or money being stolen or lost. Therefore, when the money allegedly recovered is being sought to be relied upon as stolen from the house of the deceased, the same is unreliable when there is nothingon record to support the claim of theft or robbery from the scene of crime. 34. Chandni, PW-8 has deposed that wife of Tekram (Smt. Anita) had opened the door at 3.00 A.M. She has not been examined by the prosecution and no reasons have been assigned to explain this anomaly. Considering the conflicting statements of the witnesses examined by the prosecution, Anita would be in a position to have seen the appellants at the house around 3 A.M. She would have been the first person to have seen the deceased persons and deposed about the circumstances after the incident. It is also relevant that there were other three children present in the house at the time of the incident. No attempts have been made to examine them as well. Thus, the best evidence which would have been thrown light on the controversy in question has been withheld. 35. Sohandas, PW-9 has been relied on for corroborating the testimony of Chandni, the child witness. Reliance has been placed on her witness to show the presence of the appellants at the house. Sohandas had deposed only on the basis of a telephone call from Amrika Bai that Digamber has come to see Kondi. PW-9 does not know the name of Ghirdhari. He has referred to a boy accompanying appellant No.1, which is not sufficient to show the acquaintance. Hehas not seen the appellants coming into the house. Therefore, his evidence is not sufficient to place the appellants at the scene of crime. 36. The expert, who examined the articles at the place of occurrence and found some finger prints, has not been examined. The person who took the sample finger prints has not been examined. The finger prints had been lifted on 17.12.2012 whereas the articles were seized on 18.12.2012. There is no explanation about why the articles were just left at the scene after developing the finger prints and why they were not seized and sent for analysis on the same day. Further, no prints have been found on the doors or the steel almirah to substantiate the robbery. The examination of expert is crucial especially if reliance is placed on the finger print report to suspect the guilt of the appellant. PW-12, Panch witness to the seizure of bottles states that the bottle was "lying near the door of the courtyard was seized." This makes the process of the lifting the print suspicious. 37. The shirt of appellant No. 2 recovered from him in pursuance of his statement under Section 27 of the Evidence Act is allegedly matched with the small broken button found at the scene of crime. This has been relied upon by the courts below as another circumstance to corroborate the presence of the appellants at the scene of crime. However, there is nothing on record to show that the shirt is unique and cannot be matched with the shirt of any otherperson. PW-13 has admitted in his testimony that shirts of the same kind are easily available in the market. In such circumstances, it cannot be conclusively proved that the shirts are in any way unique to the 'appellants' shirt to the exclusion of everyone else. Therefore, the reliance placed with analysis of the shirt in the absence of any unique make thereof is improper. 38. The forensic evidence against the appellants to prove their presence at the scene of crime is insufficient. The findings of the hair analysis are also inconclusive. The report only concluded the specimen to the human hair. The same is not sufficient to substantiate the presence of the appellants. 39. The prosecution has alleged robbery as motive for the commission of the offence. It is sought to be sustained by the recovery of some cash and a pair of silver patti that has not been identified by any witness. The site plan panchanama shows that gold ornaments, pearl necklace, silver ornaments, etc. were left behind on the person of the deceased. It is not explained as to why appellants would intend to commit robbery but leave expensive ornaments behind. The entire motive of robbery is negated if these facts are considered as it seems implausible that persons with an intent to commit robbery would leave without precious ornaments that were on the person of the deceased.This has unsubstantiated the entire motive for the commission of the offence, as alleged by the prosecution. 40. The prosecution has relied upon the evidence of PW-8 to show that the accused and victims were last seen together. It is settled that the circumstance of last seen together cannot by itself form the basis of holding accused guilty of offence. If there is any credible evidence that just before or immediately prior to the death of the victims, they were last seen along with the accused at or near about the place of occurrence, the needle of suspicion would certainly point to the accused being the culprits and this would be one of the strong factors or circumstances inculpating them with the alleged crime purported on the victims. However, if the last seen evidence does not inspire the confidence or is not trust worthy, there can be no conviction. To constitute the last seen together factor as an incriminating circumstance, there must be close proximity between the time of seeing and recovery of dead body. "31. Thus the evidence that the appellant had gone to Sitaram in the evening of 19-7-1985 and had stated in the night at the house of deceased Sitaram is very shaky and inconclusive. Even if it is accepted that they were there it would at best amount to be the evidence of the appellants having been seen last together with the deceased. But itis settled law that the only circumstance of last seen will not complete the chain of circumstances to record the finding that it is consistent only with the hypothesis of the guilt of the accused and, therefore, no conviction on that basis alone can be founded". "12. The circumstance of last seen together does not by itself and necessarily lead to the inference that it was the accused who committed the crime. There must be something more establishing connectivity between the accused and the crime. Mere non-explanation on the part of the appellant, in our considered opinion, by itself cannot lead to proof of guilt against the appellant". 43. PW-8 in her evidence has stated that the accused had come one day before in the night, and next day, Amrika, Mala, Badi Amma, Amma and Kondi Didi had died. She is a child witness. We have already noticed that she has not witnessed the incident. PW-1 in his evidence says that PW-8 had come to his house at 2.00 to 2.30 P.M. and informed him about the death of the deceased persons. PW-8 has not disclosed the identity of the appellants to PW-1. That is why the FIR was registered against unknown persons. We have also noticed the inconsistencies in her evidence apart from the fact that the other children present in the house on that day were not examined. There isa substantial loss of time from when PW-8 saw the deceased and the appellants together on 16.12.2012 and when the deceased were found on 17.12.2012. In such circumstances, it is difficult to draw an inference that the appellants had committed the crime. 44. In view of the above, the appeals succeed and are allowed. The judgment and order passed by the High Court of Chhattisgarh at Bilaspur dated 30.04.2015 in Criminal Reference No.3 of 2014 and Criminal Appeal Nos. 536 of 2014 and 537 of 2014 are hereby set aside. The judgment and order dated 14.05.2014 passed by the Sessions Judge, Baloda Bazar, Chhattisgarh in Sessions Case No.5 of 2014 is also set aside. The appellants/accused are hereby acquitted for the offences for which they were tried and they shall be released forthwith, unless required in any other case/cases.